It’s an ocean of emotions that I’ve been sinking in and it’s not like I haven’t expected it, because I really did. I knew it was coming and even thought I was prepared for the force of it, it still blew my mind away – I loved it from the first page to the very last one .. and I guess my love for it will still go on forever. Be warned, this is what this series might do to you: it might drown you while you try to breathe in all the beauty of this world and with every word you’ll only want more and more; oh, such a wonderful addiction that will leave you breathless, speechless, crying and smiling all in the same time. There is no one in this world (and I really mean NO ONE) that could write like Melina Marchetta. I hope that she already knows what an amazing writer she is, because if there is a book that I can read with my eyes filled with tears and my heart full of happiness, it is one of her stories.. Her words ‘sing’ to us and we can hear them from all around the world. 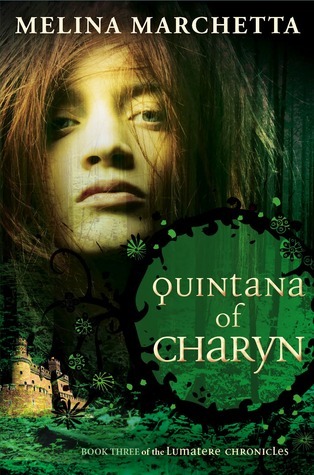 I loved with all my heart the first two books in this series and this ending (Quintana of Charyn) was all that I’ve expected and then much more. This is a powerful story that still burns into my soul; it’s like a symphony of joy, sorrow, fear, hate, love.. and hope (above them all there is hope, because this is the only gift she can give to her characters after all the suffering they’ve endured for all those years). As usual with Marcheta’s books I am somehow at a loss for words. My husband asked me to tell him about it, and I didn’t even know where to start. Everything seems important to me, every character has a voice and a destiny worth telling, every scene made my heart ache for joy or for sorrow.. 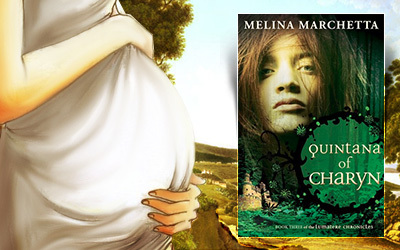 It is a story about Charyn and Lumatere, a story about 2 queens, about two curses, about a cave with 5 completely different women trying to protect the truth and the future of a kingdom. This is a story about a man and his parents on their race to safe the unsavable, a story about a king that is to be born and give hope to a world of dispair.. This is a story about friendship, and trust, and forgiveness, and hope. It’s full of death, of blood, of tears, but also full of life and joy and smiles.. But she stepped forward and placed a finger to his lips and there it was before him. The greatest prayer to the gods he could muster with a heart so broken. “Don’t let me outlive this woman. Don’t let me exist one moment without her”. I’ll miss Isaboe and Finnikin, their strength, the beauty of their hearts, the love for each other and their people, their happiness shared with their friends and their daughter. I’ll miss Finn’s father (Trevanion) and his family (Beatrice and Vestie) – even though we didn’t see much of them in this book, I will always hold them close to my heart. I’ll miss Lucian and Phaedra, the valley, the people they cared and protected, I’ll miss Tesadora and Perri… I’ll miss Lumatere as a whole – with the dark and the light, with the dreams and the horrors, and everything in between. And also, it hurts to say goodbye to Froi and Quintana and their family. There was so much pain in their lives, there was so much suffering in being apart from each other, but their love was strong and I won’t forget their story, nor will I ever forget the twins (Gargarin and Arjuro) or the beautiful Lirah. It’s been a long, long way full of deceit and pain and struggle, so I wish them all the happiness in the world and a very bright future to warm their hearts.. And my wish is not only for them, but for all the friends they have, for all the people that helped them, for all the people that survived the curse and fought for its breaking. I want to remember how the relation between Isaboe and Quintana got to change; how Phaedra got to be close to both queens and how she found a way back in Lucian’s life; how Finn found Froi and how all the stories overlapped; how all the women in the cave got past their hate and misstrust in order to protect their Queen.. I want to remember the love our sweet couples shared and I want to remember the tragedy, the curses that bound two kingdoms, the song that called their people home, I want to remember the beauty and the horror, the happiness and the despair, I want to keep them all in my heart and never let them go. … may all Marcetta’s future books be as good as this series, because we really couldn’t ask for more. And I totally agree – i loved how Finn found Froi and how the stories overlapped!! Her books are so wonderfully complex. This series is indeed one of a kind. I am not sure if there is one character that I didn’t want to know more about (well, there are the bad guys, I think I’ve heard enough about them to last me a lifetime :p). I am glad that Marchetta is not done with this world and we will have at least one more novella related to this awesome series. When I think about these amazing books I feel like lowering the rating to various other books, because they just pale in comparison ;)) Happy reading! 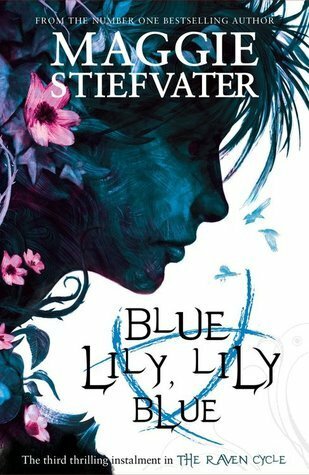 It’s the last book in the series (Lumatere Chronicles) and I loved every single one of them. 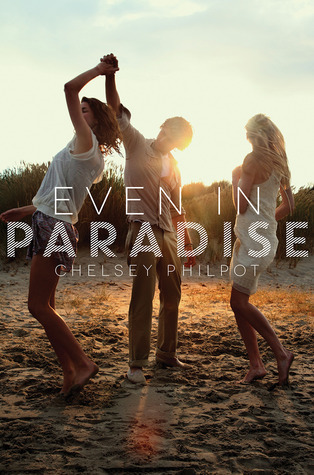 They are different than the other books from Marchetta, but I loved them as much as I did with Jellicoe Road. If you give them a chance, I hope that you will enjoy them too. Gahhhhhhhhhh I cannot WAIT to get my hands on this one! Your review just made me want it more! I hope you’ll get to read it soon and love it just as much. The shipping is free and you can get it in around 2 weeks (well, now that Christmas is coming it might take longer than that, but it is still better than March – and just a personal opinion, the Aussie cover looks better too).